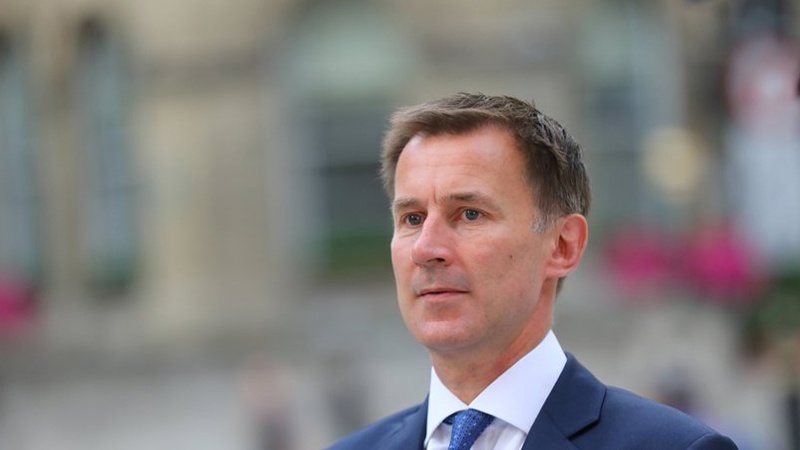 British Foreign Minister Jeremy Hunt has said that the parliament can pass Prime Minister Theresa May’s controversial deal on the country’s withdrawal from the European Union if the bloc provides clarification that the Northern Irish “backstop” will be not permanent. The so-called backstop clause of the Brexit deal is an insurance policy designed to prevent the return of border checks between Ireland, which is an EU member, and British-ruled Northern Ireland. The backstop was a main bone of contention in talks between UK Prime Minister Theresa May and the EU over the past two years. The EU insists it should be able to include Northern Ireland in its customs union and move the border to the Irish Sea until a mechanism is found for bilateral trade. Critics say the clause would undermine the UK’s sovereignty as it effectively separates Northern Ireland from the mainland Britain. The clause has proved to be the biggest obstacle to a Brexit deal between the UK and the EU, with a British government document on legal aspects of the withdrawal agreement showing the backstop could trap Britain in a customs union with the EU indefinitely, while European leaders have said they would not renegotiate the treaty. May had refused to release details of the legal advice compiled by attorney general Geoffrey Cox, saying it would not be in the interests of the public to access the full document. May delayed an original parliamentary vote on her Brexit deal planned for December 11 after admitting that parliament would reject it. Now the vote on the issue is scheduled in the week starting January 14. Both London and the EU have indicated the deal they finalized last month in Brussels is the only option possible and Brexit should happen on March 29, 2019 regardless of the decision adopted by the British parliament. British Foreign Secretary Hunt said on Friday that the divorce deal could be passed by lawmakers if the EU made clear that the Irish “backstop” would be time-barred. A senior European Union official has expressed hope that the British parliament would approve the deal in the upcoming meeting in mid-January. Many believe the House of Commons would reject the Brexit deal signed between the British government and the EU last month.